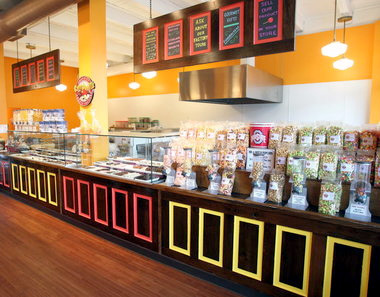 Are you looking for the perfect Bulk Popcorn ordering-options? 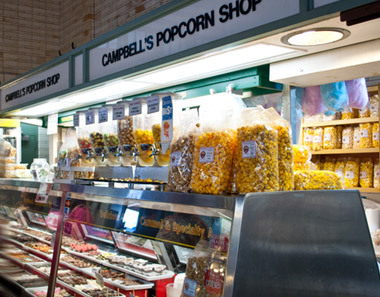 Whether it’s for fundraising, weddings, events, corporate gifts, or even for wholesale-pricing to sell bags popcorn at your own store, Campbell’s can help! Check out the pages below for all the information you need to get started! As our most popular Bulk Popcorn option, Campbell’s popular gourmet-popcorn fundraisers are becoming a staple for raising cash for organizations and events. Schools, churches, scouts, family reunions—you name it! 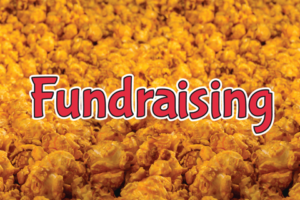 With a little hard work and a lot of delicious popcorn, anyone can benefit from a Campbell’s Fundraiser! Getting setup with a fundraiser is quick and easy, and our award-winning gourmet popcorn made with locally grown NON-GMO seed is an easy sell! Find out more about our fundraising options! There’s nothing more fun, unique, or delicious than featuring Campbell’s products at your wedding or next event! 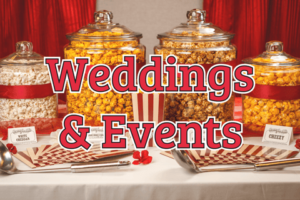 Whether it’s a popcorn bar with Bulk Popcorn amounts of our gourmet popcorn flavors, a cupcake tower, hand-dipped chocolate sweets, or another delicious Campbell’s product, we’ve got you covered for anything you’d be looking for to make your event SWEET! Check out more information on our event products! 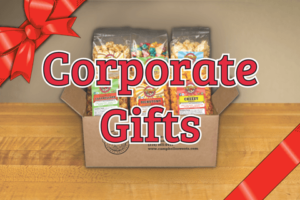 If you’re looking for Bulk Popcorn and gift options to send to an entire contact-list of recipients, Campbell’s can assist you! We can handle your large/holiday orders going to hundreds of recipients with our Corporate Order system, and we’d be happy to handle yours too! Tell us about your Corporate Order needs! 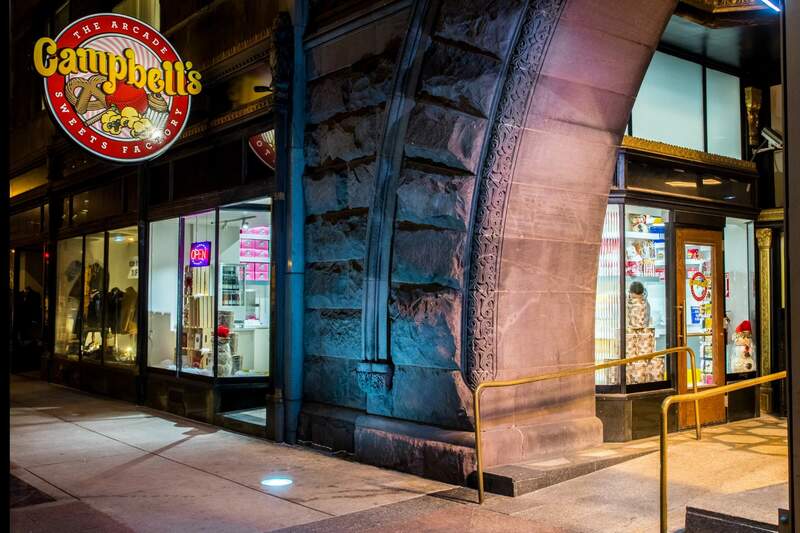 Campbell’s does retail! 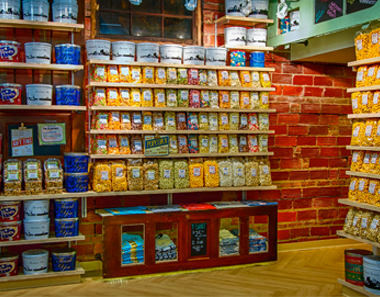 Our bags of gourmet popcorn are a hand-made quality product we’d be happy to showcase in your shop or grocery store! 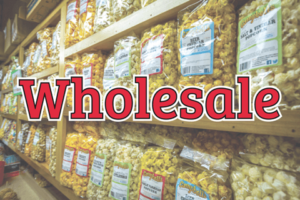 We’d love to get to meet you to see if Campbell’s is a good fit for your retail needs, and with our online wholesale ordering, getting cases of Bulk Popcorn to sell in your shop has never been easier! Interested? Fill out our online wholesale-application!